1. 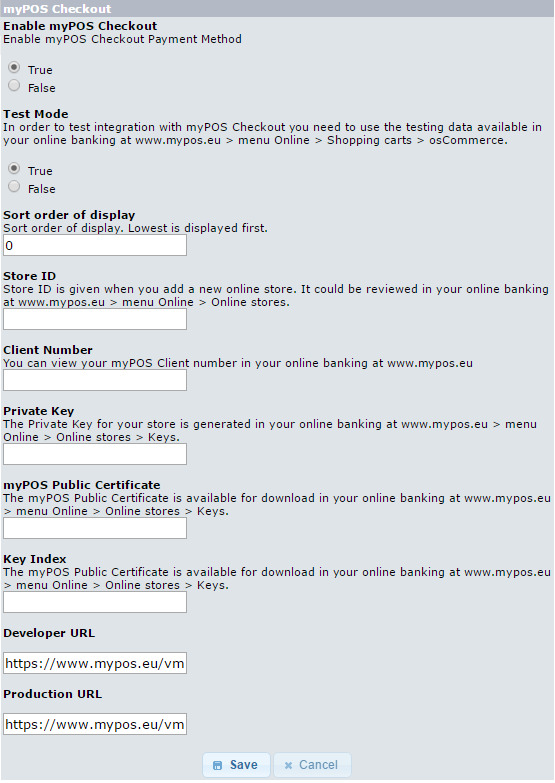 Search for myPOS Checkout plugin at addons.oscommerce.com. 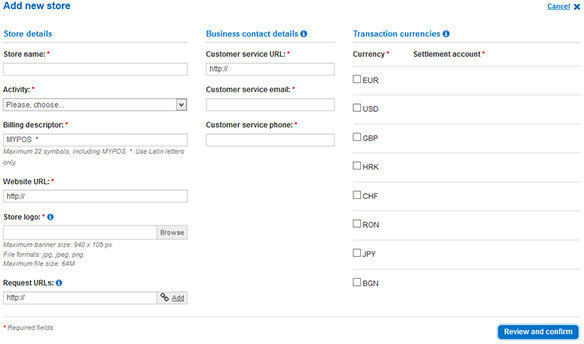 In order to configure payment module you need to visit the method configuration page. 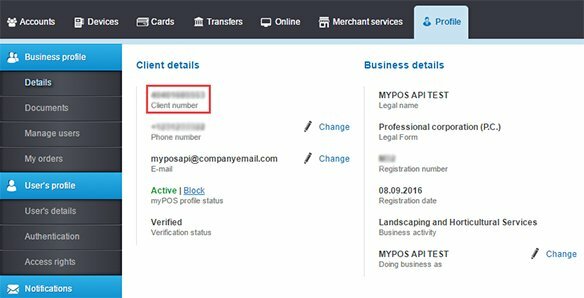 Sign up for a myPOS account. 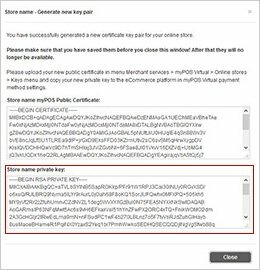 For signing process, both myPOS Checkout API and the merchant generate public/private key pairs and exchange the public certificate. By clicking on the 'Generate new keys' button at Keys menu public/private key could be generated. 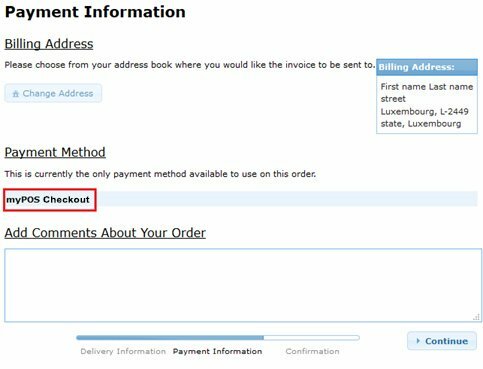 In order to configure payment module you need to choose myPOS Checkout from the list of available payment methods and click on the 'Edit' button. a ) Sort order of display. 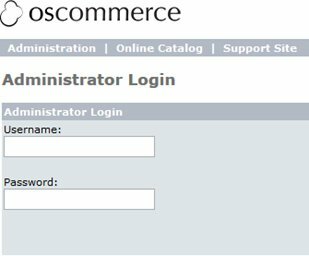 b ) Store ID is given when you add a new online store. 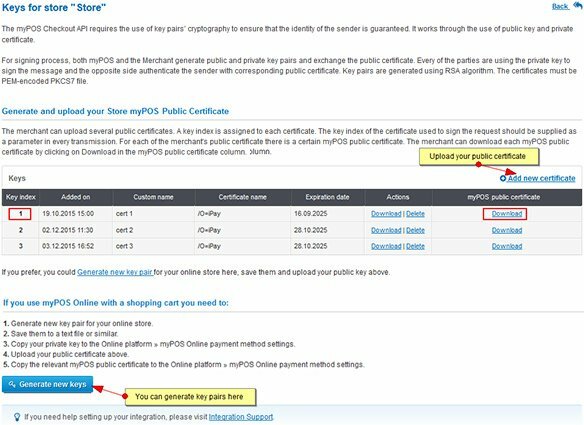 You need to copy this myPOS Public certificate to the osCommerce platform/field myPOS Public Certificate. You can upload several public certificates. 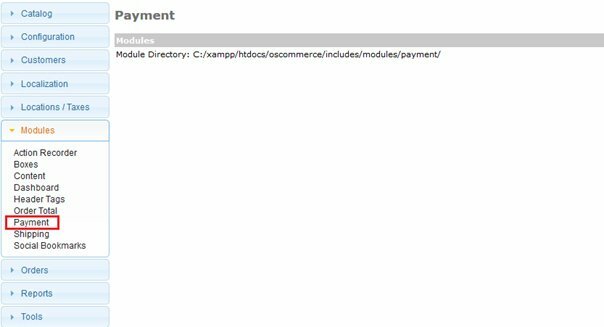 Here you need to fill in the key index of the certificate which is copied in the osCommerce platform. 4. Save configuration changes by clicking on the 'Save' button.